Your next pool party will hit the mark for great fun when you add this bullseye toss pool float game. 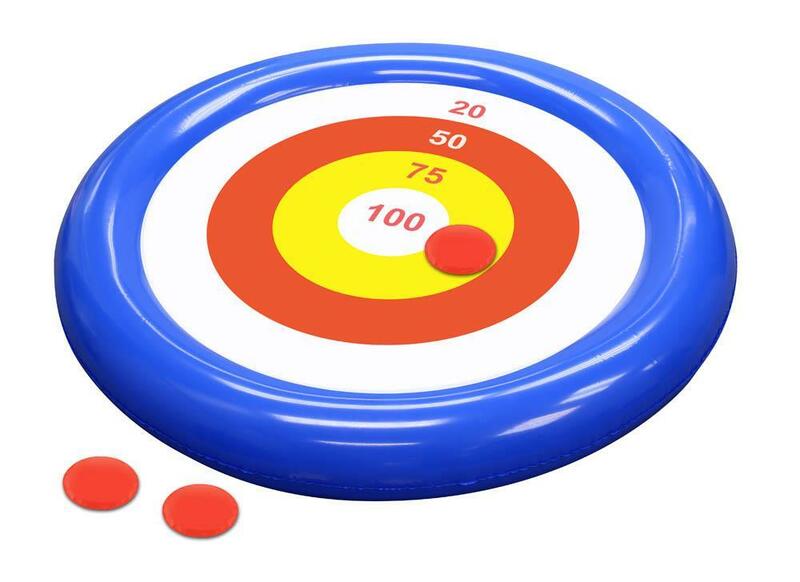 Score points when you toss the red discs onto the inflatable circular game board, with each circle representing a different number of points. The bullseye is worth 100! Weight 0.25 pounds. 48" x 48" x 0". Plastic. UPC Number: 841437109207.